A group of farmers in Preston County, West Virginia is working together to get local food into local schools. The Preston County Growers Co-op, which is currently finalizing formation, includes five farms that produce a variety of foods from lettuce to potatoes to eggs and beyond. Some of the growers have been working together for a few years now to supply the schools, but recently decided to formalize as a cooperative that is owned and controlled by their local farmer-members. The co-op allows the growers to coordinate their production and then to sell to schools as a single business; the co-op business then pays the growers for their goods and splits and surplus among owners at the end of the year. The process of formalizing the co-op was supported by a number of organizations, including West Virginia University Extension, the Value Chain Cluster Initiative, West Virginia Farm to School, and the Ohio Cooperative Development Center. The Ohio Cooperative Development Center (OCDC) worked with the growers to help them learn the ins and outs of the co-op model, including the benefits of the business model, how money can move through a co-op, and the process of forming a co-op in West Virginia. OCDC also assisted the group with reviews of their foundational documents, including bylaws, membership applications, and membership agreements. The group plans to register the co-op soon and begin formally accepting members in order to continue their successes providing local food in their community. 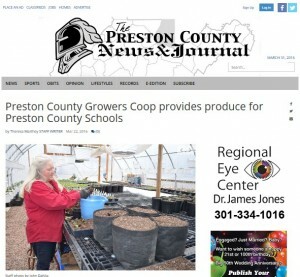 Learn more about the Preston Growers Co-op in this recent article in The Preston County News & Journal. April 12 at 1 p.m. – 2:30 p.m.
You can find more information about the program here. Or email Debbie Rausch, Business Program Specialist, USDA Rural Development at Deborah.Rausch@oh.usda.gov to make sure there are enough materials for all who plan to participate. 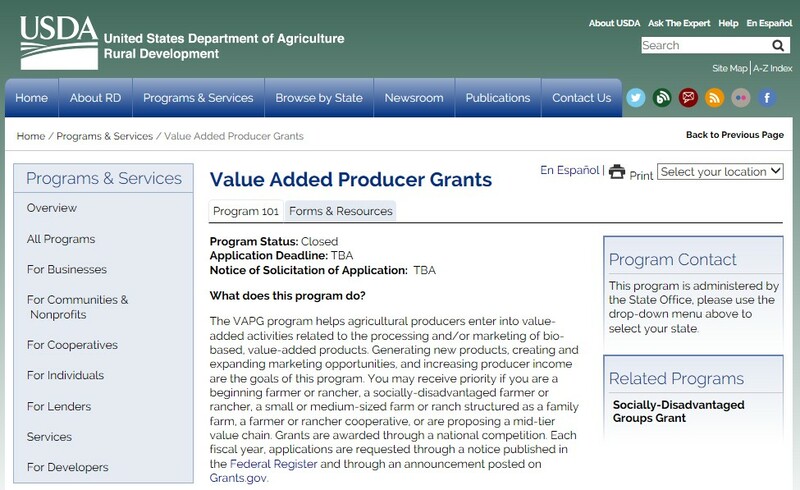 USDA Rural Development will be sharing information about the Value Added Producer Grant (VAPG) program at the OSU South Centers on March 29th from 1-3p.m. The workshop will be in the Endeavor Center, Room 165 located at 1862 Shyville Rd., Piketon, Ohio 45661. VAPG “helps agricultural producers enter into value-added activities related to the processing and/or marketing of bio-based, value-added products.” You can find more information about the program here. Please share this information with producers who may want to learn more about VAPG! Many times the best marketing for a business is through word of mouth. You went to the new restaurant in town and you told the next three people about how good your meal was. Unless you are an early adopter, most individuals wait to hear positive feedback about something before trying it out for themselves. For a small business, reviews are just as important. If you had a positive experience with a business, take a few moments to get on their social media accounts and leave a review and feedback. This will help other consumers consider shopping at the business as well. 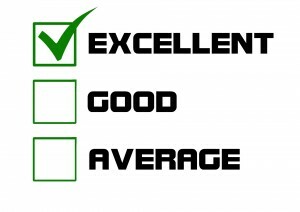 Having reviews and ratings will also promote the credibility of the business. So what if someone leaves a negative review? The best way to handle a negative review is to respond promptly and take the conversation offline as quickly as possible. One example would be: “I’m sorry you had a bad experience; please contact us to further explain.” Responding allows others to see you are trying to correct the problem and shows the customer that you value their opinion. Removing a negative review could lead to more fallout in the long run because inevitably, several people have seen the post as soon as it was posted and will check back to see if any action has been done.